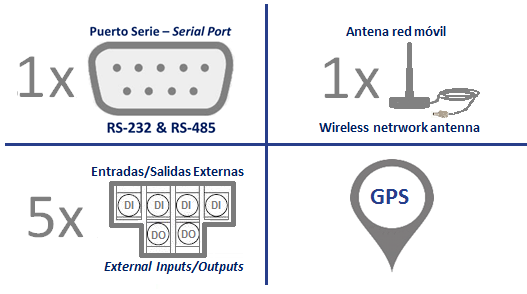 GeoTel has been designed as a system for locating and remotely control devices whose geographical position may vary. 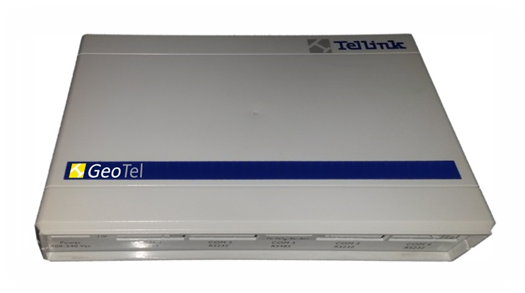 The system includes a local communications port, several digital inputs and outputs, a precise GPS module and a GPRS modem for outside communication. GeoTel was initially designed to remotely control sea beacons, and more specifically lighthouses and buoys. Remote communication devices along with the software application reported status information about lamps and batteries, power consumption, and cadence of light signal against pre-defined patterns. In mobile signaling, the system also detects the geographical position of the device and its unusual deviations. Over time, GeoTel has evolved to adapt to other application as control of information/advertisement screens, temporary signaling systems in ports, airports, roads, or control systems for valuable urban furniture within (smart-city). The digital input module is used to capture information from environment through sensors (light, temperature, etc.) or to control device’s parameters (e.g. voltage and current, speed of light-signs, open door detection, etc). The opto-isolated digital outputs are typically used to act on external devices such as enable / disable alarm systems, or connect / disconnect external devices. GeoTel is a very flexible platform and with minimal modification it allows adaptation to many applications where remote control of valuable assets is required, and more specifically when those assets are geographically dispersed. 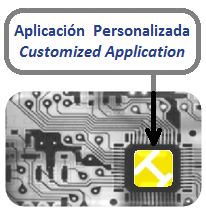 The system implements the functionality specified in each project through embedded applications developed on purpose by Tellink.